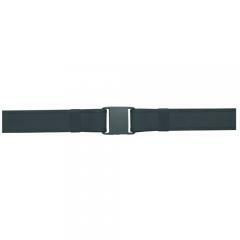 Sam Browne belt with grab-resistant buckle. Full 2-1/4 in. width for firm holster platform. VELCRO® lined, interlocks with Velcro in model X55 pants belt for more stability. Handsome edge trim.